Happy International Workers' Day to everyone who celebrate it. We have a day off here in Germany, which was great for me after all the traveling, I could sleep long and do a few chores at home. I also tried to remove some of the mess from my make-up table. It didn't work all that great. I know I have to purge lots of items but I don't have much time for a blog sale. It is a lot of organization. Sometimes I wish some of the items I haven't used would evaporate and condensate as money. How nice would it be? Other news, finally I had some time to bring Color Me Loud to Facebook! I didn't want to do it originally because of a stupid reason... Another icon wouldn't fit under "About Me" section on the right column. I made some calculations and found out by reducing the size of the icons, it was indeed possible. I hope they are not too small now. If you find the time to like my page, you make me happy :-) Oh and I also installed snapchat, my user name is sarabeautime but I couldn't figure out yet how to make use out of it. That is still work in progress. Now onto what I have for you today... It is a very exciting product because I haven't used something like this before and it is rare that I can say that. 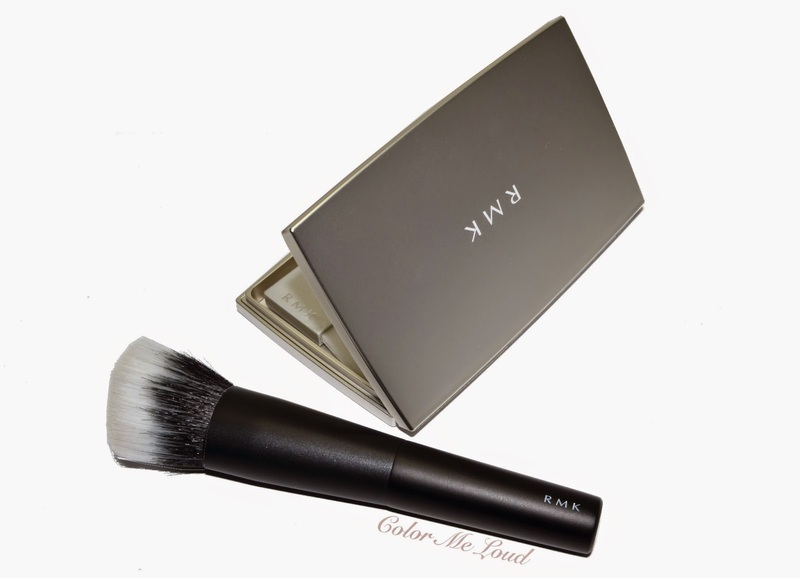 Let's take a look at RMK Casual Solid Foundation and RMK Casual Solid Foundation brush. This is my first proper RMK review although I have collected many products in my stash over the years. I shared a few photos here and here at Instagram, before. RMK is a department store brand from Japan, which has fun color cosmetics, amazing textures and great skin care. In Europe (and US) it can be ordered online from retailers such (the following links are not affiliated) as Feelunique, Beautybay and Selfridges. You can see a list of counters worldwide here. The products come in silver boxes (as in the picture above) which has the words "Choose Me", "Open Me", "Take Me" written on it in modern overlapping fonts. After seeing this you end up spending way too much lol, they are too cute to let go. 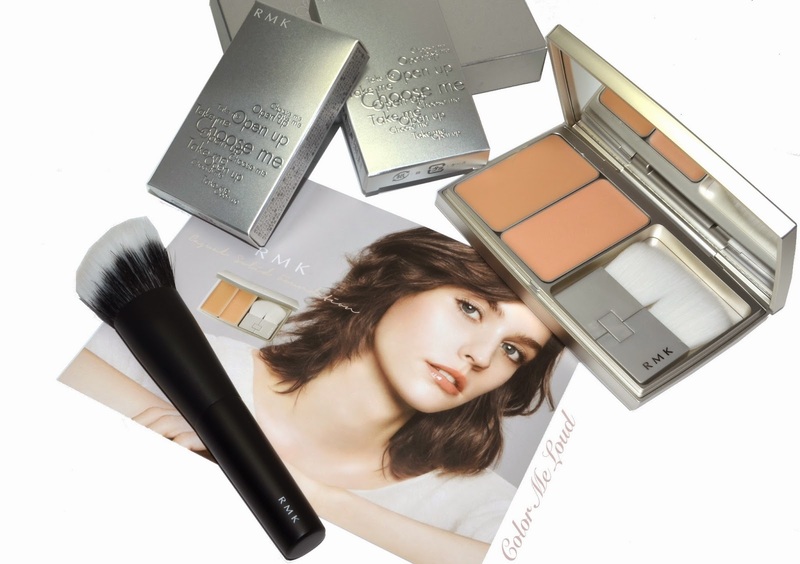 This season RMK is adding a new foundation to their range, called Casual Solid Foundation. The name is already intriguing. Casual but solid. Solid? Creamy, liquid, powder yes but solid? There are in fact other solid foundations in the market, such as Kevyn Aucoin one which comes in a stick. The consistency is close to Tom Ford Traceless Foundation Stick as well. RMK Casual Solid Foundation doesn't come in a stick form but in a compact, which is a little unusual. If you press your hand on the foundation surface, it wouldn't sink in like in a cream foundation case but it is rather hard. If you swipe your finger on the surface, then you get some product. Together with RMK Casual Solid Foundation, a new brush called RMK Casual Solid Foundation Brush also joined the line. It is a duo fibre brush which is a mix of of goat hair (the black part) and synthetic hair (white bristles). The brush is soft and medium sized, fits nicely to the surface of the pan and it is inclined so that you can do some contouring or shaping work with it too. RMK Casual Solid Foundation has a flexible system. The compact is sold separately. Then each color can be selected depending on the tone and undertone of your complexion. Left pan (refill a) is to apply to the face fully and there are 7 shades for that one. The right pan is to highlight high points of the face so that it doesn't look flat after you even out everything. It also brings some sheen to the finish and you can control it as much as you want. There are two shades for the right pan, silver (001) and gold (002). Silver is lighter and is for cooler undertones. Gold can be also mixed with the foundation to give you the glow. The compact comes with a brush. It looks like two brushes but instead it is a innovative brush which you can use flat as shown or you can fold it and make it less wide but thicker. For the combination shown below you have to purchase two refills (a & b or any combination as you wish, a & a or b & b) and one empty compact. 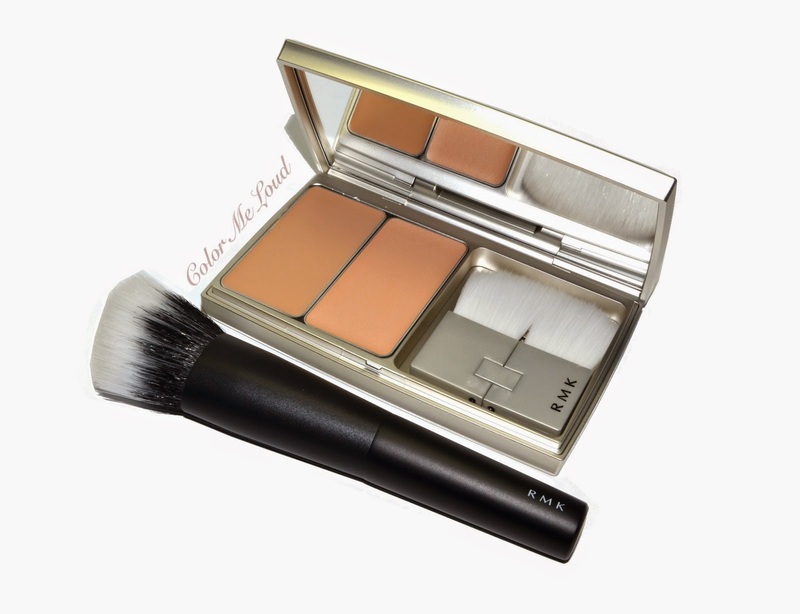 RMK Casual Solid Foundation mentioned above is sold separately, the brush in the compact is included when you purchase the empty case. In Japan I was matched with shade 102 for my foundation. This shade seems to be the most used one in Japan. For my skin tone it is a little warm but since I have natural undertones, I can get along with it. I think 101 can also match me though. I will have to check that one out. For refill b, I have the lighter "silver shade" which is a perfect subtle highlight for me. It is nothing dramatic but it gives a nice natural glow. I have swatched some of my foundations next to RMK Casual Solid Foundation refills 102 and 001. It might be helpful in case you are ordering sight unseen. After a long winter I am turned pale, Chanel B10 even looks dark lol. My usual matches, Chanel Vitalumiere B20 and Dior 020 are both rather dark on me. You see that 102 is a tad deeper than Chanel B20 and YSL Fusion Ink B20. I think it would be a match for MAC NC20. You can see that 001 (refill b) is lighter than all and has a little more sheen (nothing crazy) so it makes a great subtle highlight. 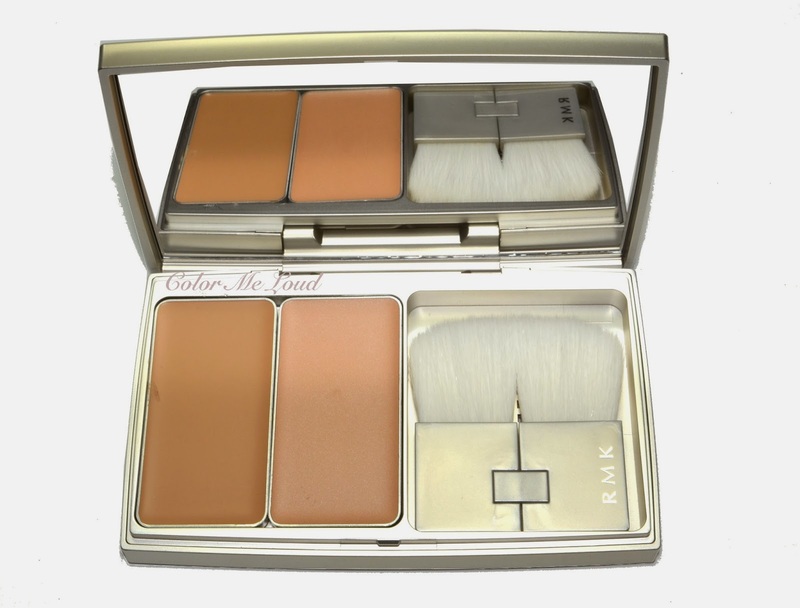 RMK Casual Solid Foundation is a light weight, light coverage foundation, thus the name "casual". If you apply it with RMK Casual Solid Foundation Brush, it becomes even sheerer. Since the form is not a stick and it is hard to get lots of products on your face, if you want to build up the coverage to medium, I recommend you use a beauty blender or a sponge of your choice with it. That way I can cover most of my blemishes and under eye darkness as you can see in the photo below. 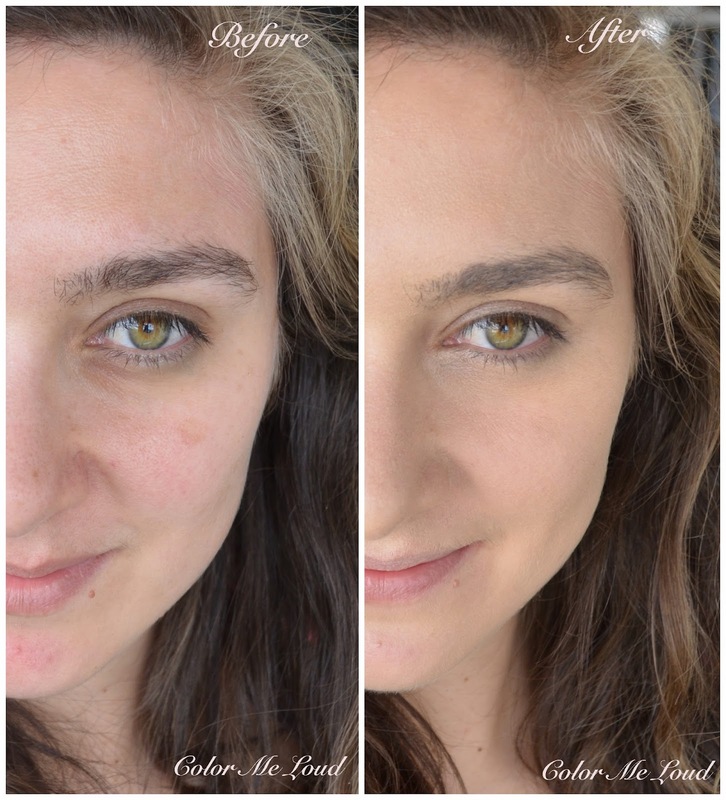 If you have really red spots, you have to conceal them separately. The finish is very natural and lovely. It has some sheen to it which prevents your face from looking flat. After applying the left pan all over, I add some of the lighter shade (refill b) over the cheeks, cupid's bow and on the high point of my nose a little. RMK Casual Solid Foundation has the following ingredients which are included in most of RMK skin care products, bitter orange peel extract (softening and hydration), bilberry extract (softens, protects and moisturizes). There are also new emollients such as sunflower oil and almond oil. On my normal to dry skin though, I definitely need a rich moisturizer under RMK Casual Solid Foundation or it emphasizes my dry patches around the nose and between my eye brows. In the documents it is mentioned that it is best to apply their Crystal Light Oil underneath. I may have to check on that one and let you know how it works that way. After moisturizing well and applying RMK Casual Solid Foundation, it lasts long on me, over 10 hours without fading. Both of the refills come with SPF 30. Recently you have seen me wearing it many times. 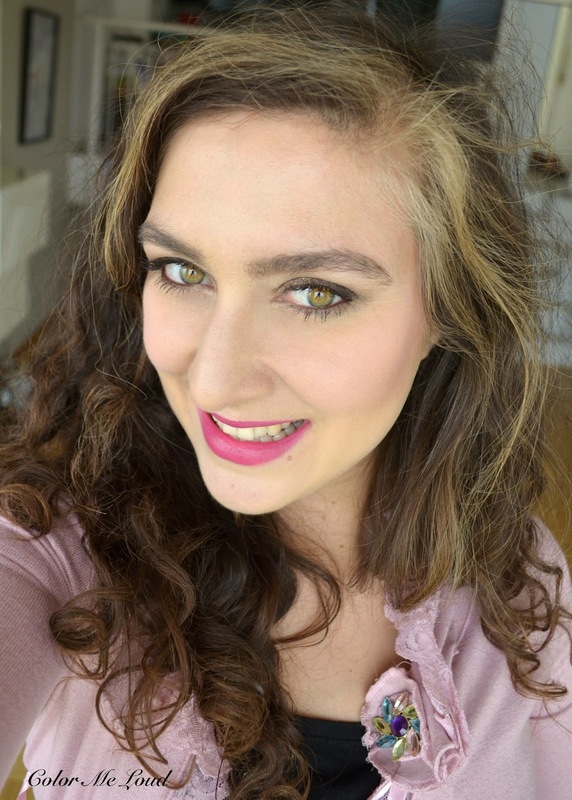 In my recent look with MAC Philipp Treacy (reviewed here), the base was done with RMK Casual Solid Foundation. 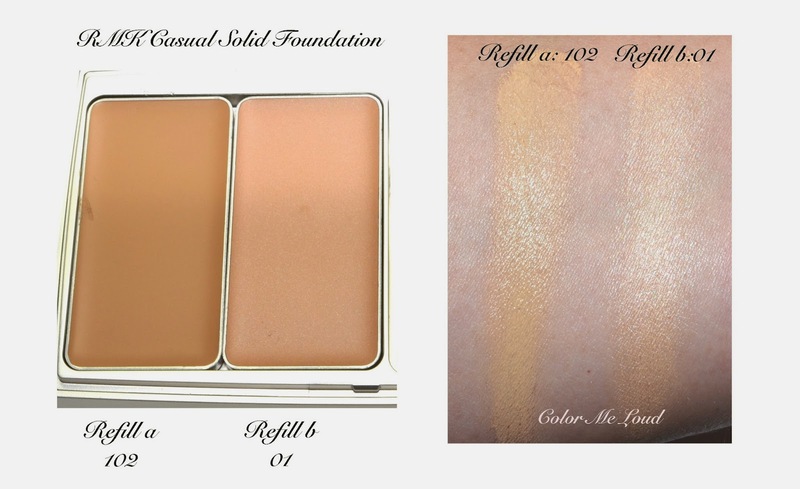 Final thoughts: RMK Casual Solid Foundation is a lightweight, light coverage foundation with natural looking finish. It comes with two refill pans which you can mix and match. I find the idea of having a lighter shade with more sheen for a subtle highlight great, given the fact that our faces look flat after foundation application. RMK Casual Solid Foundation can be build up to medium coverage if you use a beauty blender or a sponge to apply it. RMK Casual Solid Foundation Brush is soft and has a convenient shape but it applies the foundation a little too sheer for my taste so I prefer beauty blender. Finish is very natural and lovely. If you have dry skin though, you need a good moisturizer underneath. Good news though, they are suitable for combinations ladies as well. All in all I find it to be a good executed innovative product. Thumbs up. Price: Each refill is 2000 JPY, empty case is 1500 JPY. Have you tried anything from RMK before? How do you find the idea of two shades in a compact? That's really lovely. Wonder which shade I would need. I was very surprised to find that you wore the Clarins in, was it 108 or 110? becaue I always figured you had darker skin than me, and I pretty much wear the twos in the rest of the lot, though they're mostly too dark in mid-winter. you are definitely lighter than me. 108 is a perfect match for my skin at the moment. I don't know if all the 200s deeper though. I am not familiar with Clarins' numbering system. With RMK and Suqqu it is easy, they have a great chart with undertones and light/deep direction. Solid foundation though has only 7 and 2 shades, from the 7, probably you are 101 (since the one above is 102 and even for me it is a tad deep). I am considering to check out 101 and I will let you know. You like warm undertones to your foundation or cool? That is so strange, because I have no problem wearing 108 in winter (disregarding January and February), and can mostly wear 110 as well, though it's slightly yellower than I like. And the Vitalumiere aqua is great in B20, but I turn a ghostly shade of grey wearing B10. Same goes for Dior. 10 is too pink and too pale, whereas one of the 20s works as long as it's one of their lighter formulas. The heavier ones are either too pink or too yellow. Then there's my beloved Guerlain tenue de Perfection in 002 which is too dark in mid-winter, or would be if not for Clarins' self-tan serum. It's definitely more versatile to have 2 different shades in one compact. I use RMK shade 101 and I simply love their liquid foundation. yes this is such a good idea! I don't know why anyone didn't think about it before. I think I should check 101 too, this one is a little deep for me, but just a tad so it works. Would you recommend their liquid foundation for normal to dry skin? Their liquid foundation is very soothing. It didn't emphasise flakes when i had some on my nose. My friend who has dry skin loves it too! I hope, one day you can review some THREE eye palettes, they are also nice. With 3D colors on eyes! I have one of the THREE eye palettes but the cream eye shadow didn't work for me. I found it to be very dry. You like them?